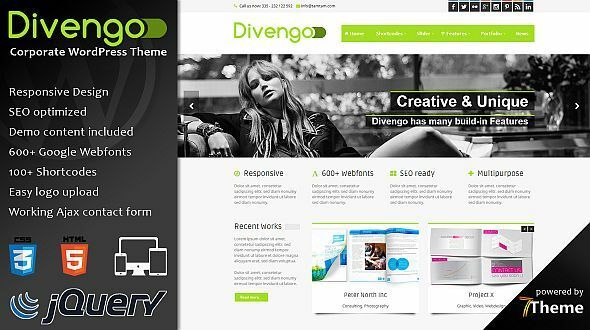 Divengo is a premium WordPress Theme, suitable for any kind of business. 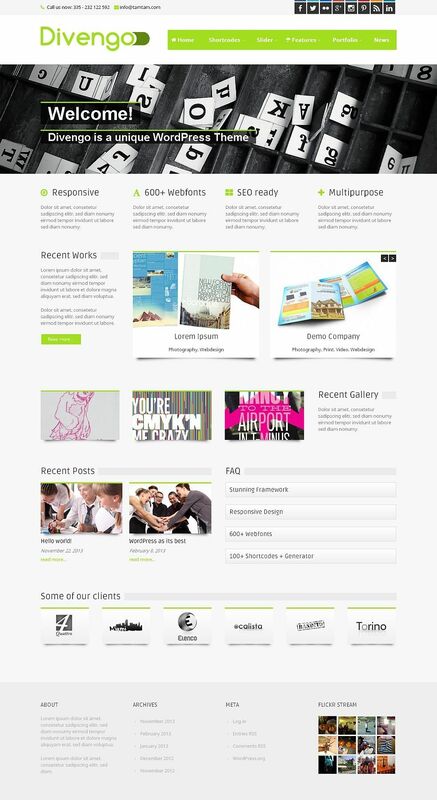 It is very easy to setup and use.This theme is very flexible and is easy to use with loads of great features. Each part of the theme has been designed to look and work great. Divengo was made to be easy to customize to match your branding from within the WordPress admin area. It is also easy to Upload Your Logo. None of this requires editing code.